Typing Lessons in Schools – Good Vs Bad? This short reflection has been written to stir some thoughts in my readers. I want to hear your opinions, thoughts and feelings about the use of typing programs in schools. I have been in a variety of educational organisations utilising a variety of curriculums and a variety of tools to support learning. I have seen many tools get introduced with the intention of better support student learning and all too often they fail. It is almost always because of either a lack of drive from staff, a lack of knowledge from staff or a lack of skill / interest from students. The skill / interest of students is what I am discussing today. How important is the skill of typing in the 21st century environment that we live in? Is it important for the world that we are educating our students for? That question, I don’t know. One of the most frustrating parts of our 1:1 device program is the lack of typing skills from students coming through. We are not an apple school, we have laptops and utilise many programs and online tools that require typing. In the Middle School we run a Secondary timetable so students have 45-60 minute lessons for different subjects throughout the day (this can be great, but often very limiting). During these short spurts of learning time, it is important for students not to get left behind. Often tasks require students to type efficiently, either through research, creating, making, coding, publishing etc. All too often I see students coming into Year 5 (9-10 years old) with a typing speed of less then 10 WPM (words per minute). To counter this my school has introduced a typing program called “Typing Agent” from Year 3. Students spend time in class (2-3x 5-8 minute sessions a week) learning the skills of typing, they learn ergonomics, hand position and tips and tricks to save time. In 3 months I have been tracking the progress of students and 92% of students have (at least) doubled their typing speed, with an incredible 41% of students tripling their speed. We have several students typing at more than 60 words per minute now, which is really pleasing to see. The students love the interactive games based program. We chose this program because of its game based nature, levelled learning and curriculum-linked activities. The program even creates games to support the student’s weak areas as they learn, customising it for them. It is a paid subscription, but very cheap and well worth the money. One thing that we have taken away from this program is that students from Year 5 no longer need the typing program once they have got their typing speed up to approximately 25 WPM which makes time use for teachers more efficient. From 2015, we will be using typing agent from Year 2-Year 4. The question in my mind still remains. Is typing a skill that students require to be effective lifelong learners and leaders when they leave school? We don’t know what technology will be available in the future. What we do know is that typing is still an important skill that we need in the world we live in today, and if typing makes learning more efficient and easier then to me it is a skill that is of benefit. I would love to hear your thoughts. I am on the fence with this one and need to hear what other educators think so please tweet me or post your thoughts below. I look forward to hearing from you. We have been talking about tie question in America as well. We had no required formal keyboarding classes wen I was in school in the 90’s. We also had exactly one computer available for student use. We are in a digital world and being able to type is the digital equivalent of being able to write. I believe there should be a standard that students should be able to meet by the time they have left middle (intermediate) school. Students must have this skill. Great blog. Great food for thought. We have struggled with this at our school. Last year we took typing out of the elementary curriculum but this year we are putting it back in. Research shows that if a student can type 20wpm, that is faster than they can write. We were finding that while keyboarding is probably a skill that will go away eventually, right now students still need it. I feel as a tech coach, we have a responsibility to teach these students keyboarding as part of their toolbox for now and the future. We are a BYOT and 1:1 school so technology prepared papers, etc are a big part of who we are. We felt like we were having to take too much time for final prep because students were really struggling with the typing. We shall see if we see marked improvement. I was in HS in the 90s and we had keyboarding on typewriters. It was one of the best classes I ever took. In February this year we started keyboarding lessons once a week for grades 1-8. While I did worry about tsking time away from instruction, I found the following benefits: students were forced to capitalize, spell correctly, and attach punctuation to the previous word to improve their wpm. They wanted to beat my 73 wpm and one did (others were close). Yes, typing is an important skill. Agreed to all of this. Also, if data entry changes, kids who’ve been employed (for which they need typing) can catch up. Esp. agree about highlighting the sentence/word structure stuff that autocorrect helps kids ignore. Great convo though-I had the same questions before I began to teach typing. There’s something of a politically correct/trendy idea around that teaching typing skills is a terrible thing. Anyone who applies more than 10 minutes thinking and a little bit of research to the question will reach the conclusion that it is more important now than ever. And speech to text will never replace it, not because of the technology – that’s already been around for nearly 2 decades – but because we don’t speak the way we write. Our grade level goals seem the same as yours. We were using Typing Pal, but are switching this year to Qwertytown. It came down to a showdown between that and Typing Agent. What we didn’t like about Typing Agent was that the kids could choose to play games that didn’t necessarily link to what they needed to be practicing – but from what you said, maybe I have that wrong? I have struggled with this, too! While I agree that lack of typing skills definitely slows my students down, I can see that the technology is quickly changing. How long will it be before we can rely solely on dictation or even brain waves? Not only that, but is the Qwerty keyboard even necessary anymore? I have a feeling that our reliance on texting will change this. Nevertheless, I encouraged my own daughter to learn keyboarding when she was 5 years old, and her skills have definitely been helpful. She is now 11, and can communicate quickly with a keyboard – allowing her to focus more on the content of her products than on the laborious process of finding the right keys. Great info Craig! Typing is a must in schools. As someone who teaches in the college level, it’s shocking to see how many students come in not knowing how to type quickly and efficiently. It slows down the entire class. It slows down my ability to help them; if they don’t have anything typed out, it’s difficult to help them with their writing skills. It’s sad to me that some schools just assume that students know how to type. That’s certainly not the case. While it’s not a skill that will make you a better/worse learner/employee, it is one that will facilitate easier learning and work production. I have struggled with this too. All state testing will now be done on a computer. I struggle with having teachers spend time on typing/keyboarding as a subject but I recognize that it is a very important access skill that students will benefit from. It will make their work and life more efficient. So… I guess a certain proficiency in typing/keyboarding is necessary for success in school. In the States I was taught typing all throughout my schooling. In primary and intermediate school it was a part of weekly computer lessons using Mavis Beacon games, then in high school I took two computer classes that expected us to have adequate typing skills as many of the in-class assignments were timed. I only graduated in 2006 so imagine my surprise when I began meeting high-school students who peck at the keys just as my grandma would! Typing may disappear entirely in the future, but as long as we expect students to type up essays or send e-mails it is a skill we should definitely be teaching. I have seen far too many students screw up their faces as they search for the correct key, all that brain power should be going into creating a powerful argument or beautiful prose. We are doing a disservice to our children by giving them technology without the tools needed to effectively use it. Good discussion. I find typing is best taught with a combination of drills, quizzes, integration into classroom inquiry. I like a team approach, where the tech teacher, classroom team, and parents all reinforce required skills. Students learn quite quickly that way. Don’t use QwertyTown. It’s terrible. My school has a 1:1 laptop program with macbook airs. (this is our first year with them) We use Typing agent, but they disable the games. So we spend 10-40 minutes a day grinding away at anything between 10 and 120 WPM. In earlier elementary school (I’m currently in Middle School) we used paws in typing town on the mac-sauruses. (Old desktop macs) I kind of liked Paws in typing town, but it’s old and slow. It was even more game based than typing agent! 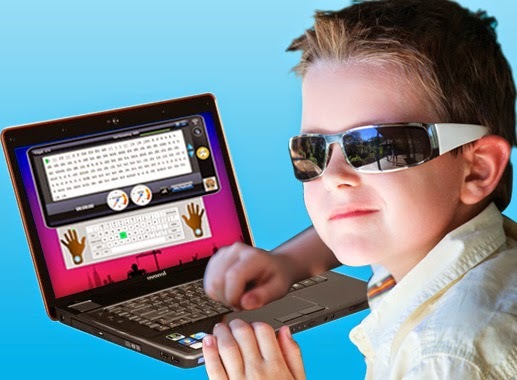 Typing Lessons in schools are important because computer typing skill is one of the complementary skills that can help improving your professional career. This is not the skill that most people are talking about but this is the skill that helps you in a silent way. The faster you can type, the faster you can complete all of your work related tasks and the more productive you can be. Having the ability to type fast and with accuracy will help you in many ways in life, and it should be considered an essential skill for anyone who sees themselves working with a computer in some capacity. When you feel that your typing skill is not up to the task, you can improve it using mavis beacon teaches typing software which has been used by millions and had help millions already. You can get this software from http://mavisbeaconfree.com. Now, almost all profession will use computer. Even with the specialized skill may need a computer especially when making reports with their work progress. So this skill maybe perceived as not so important but it plays a part on your career advancement.